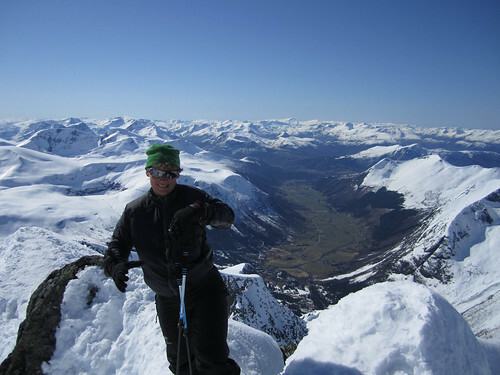 In true DIY style here is a rough guide to ski touring in the Sunnmøre (Sunnmore) area of Norway. 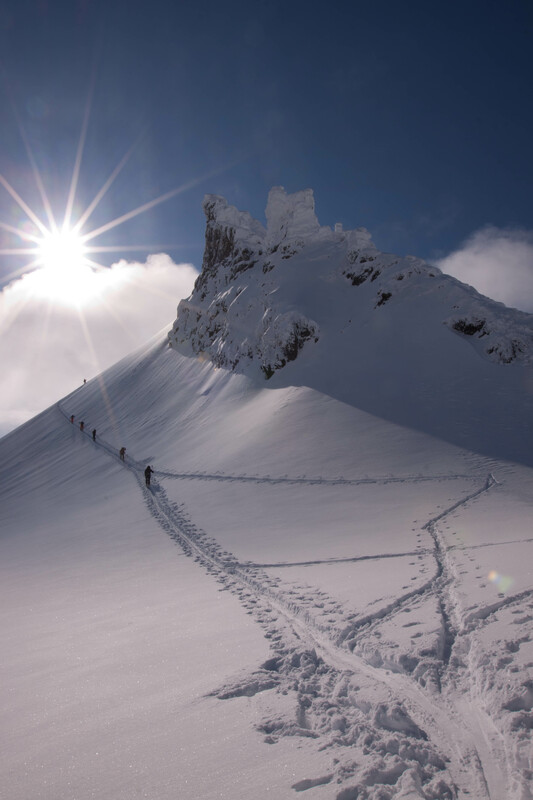 This also applies to splitboarding. 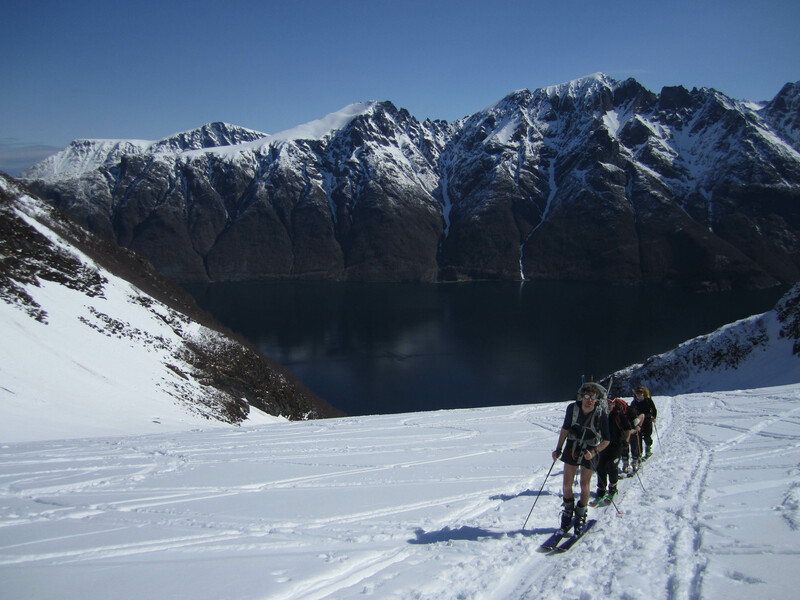 Sunnmøre is as famous as Lyngen Alps as a ski touring location in Norway. 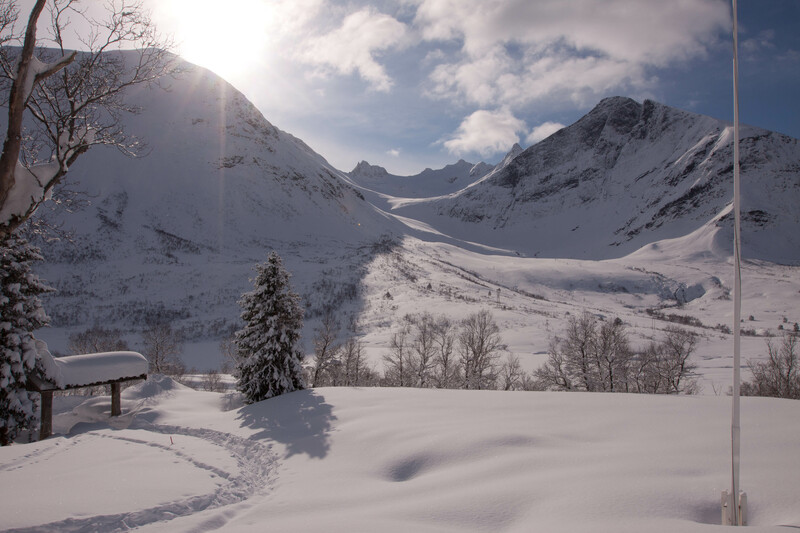 Alpine peaks which come right out of the fjords make this a special place to go skiing. 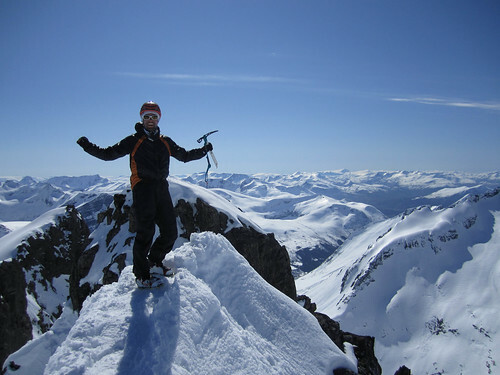 There are glaciers, steep peaks which require mountaineering, couloirs and easy slopes. 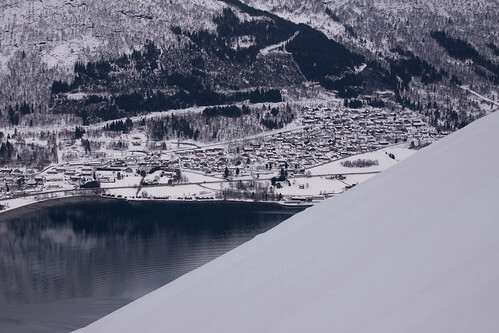 Best bet if you are coming from outwith Norway is to fly to Oslo, then fly to Ålesund. You can then hire a car from all the regulars, I recommend Avis. If you are driving, look at the map and drive there. If you are skiing on the other side of the fjord, Patchellhytta offers a great base for more extreme tours. There is also a youth hostel in Hellesylt it is 350kr per night with breakfast. 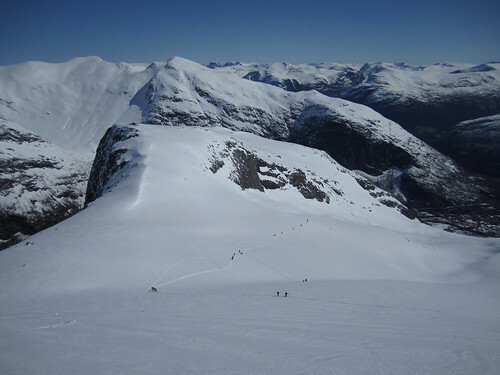 In no particular order, Kolåstind, Nordre Sætretind, Nivane, Fingeren, Randers Topp, Slogen, Kvitegga, Skarasålen, Saudehornet, Sykallen are famous peaks of varying difficulty. Best bet is to buy the book Toppturer i Norge for something to get you started. Riding the light snow.. super nice. Also make sure you buy a map of the area and dont just rely on GPS devices. Weather can be dodgy here and avalanches are a real problem for the roads (and hills) in the area. 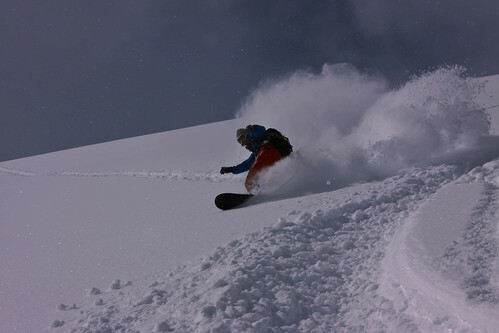 I recommend mid to late season and a week of your time to visit and experience this area. 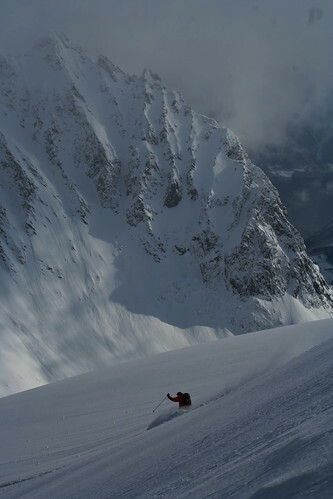 April / May is more likely to give you stable snow and good weather. 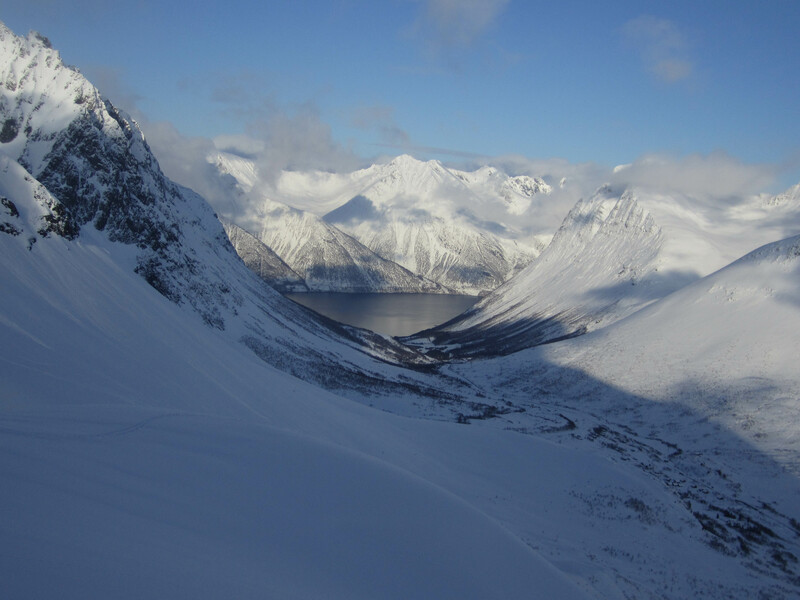 However we were there in early April and this video shows how much fresh snow there was. 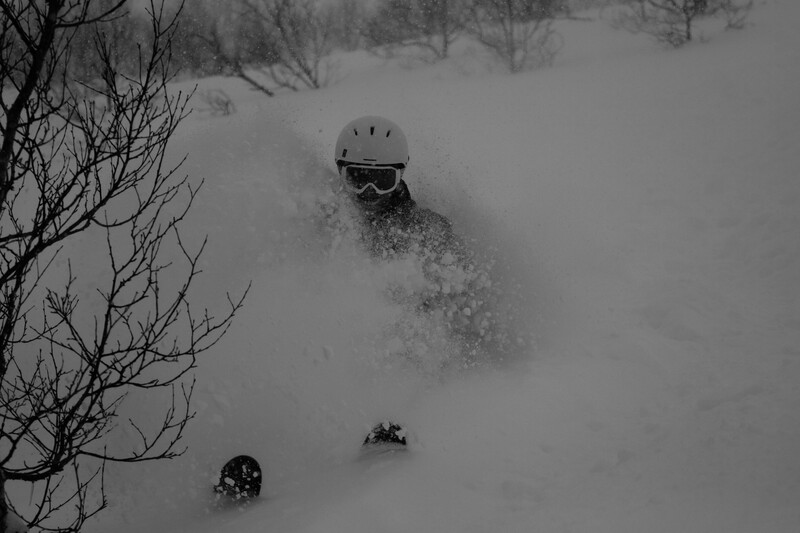 Here are a collection of my choice shots from the two trips I took there this season. If you want some more information about sunnmøre or ski touring in Norway, leave a comment and I’ll get back to you.